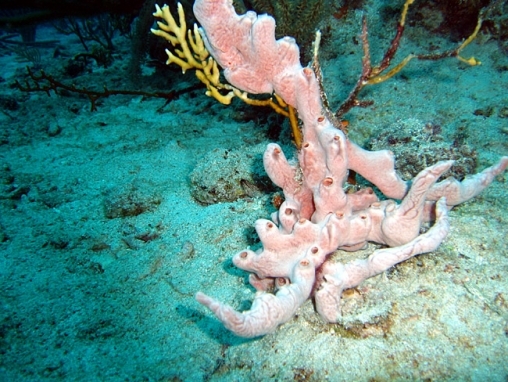 A small sponge, usually less than 30 cm across, pink to lavender in colour. Its chains of small tubes may run across the surface of rocks, or may use gorgonians or fire coral skeletons for support to develop apparently ramose structures. 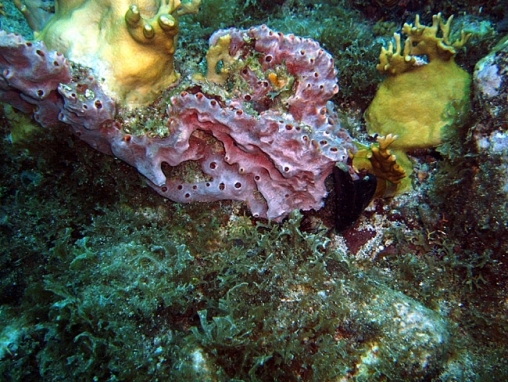 The surface is smooth, with vein-like markings which are usually a darker colour than the rest of the body. This has commonly been called Holopsamma (or Desmapsamma) helwigi.